Mauricio Pellegrino on his side's attacking display against West Ham. Oriol Romeu has emphasised the importance of Southampton’s 3-2 win over West Ham United. Oriol Romeu reflects on the win over West Ham. Watch our 90-second highlights package. Watch the best of the action from the win over West Ham. View the best images from St Mary's. Watch matchwinner Charlie Austin on the victory over West Ham. Mauricio Pellegrino reflects on Saints' 3-2 success against West Ham. Watch the manager's reaction to the win over West Ham. Charlie Austin was delighted to be able to come off the bench and net Southampton’s winner against West Ham United. Charlie Austin's late penalty earned Southampton their first Premier League win of the season. Saints boss looks ahead to West Ham clash. Slaven Bilic looks for a reaction against Southampton. Get set for Saints' home clash with West Ham at St Mary's. Mauricio Pellegrino looks ahead to West Ham. Take a look at the key facts and figures ahead of Southampton's Premier League clash with West Ham United at St Mary's. Watch as the Saints boss speaks ahead of West Ham. Watch as Saints trained ahead of West Ham. We have a penalty! Pablo Zabaleta is penalised for a push on Maya Yoshida. Spot kick to Saints. Nathan Redmond fires a 25 yard effort at goal which deflects off a West Ham body and rattles the crossbar! So close. Three minutes added on. Cedrić cuts the ball back from the right byline and Shane Long heads in, but the goal is ruled out for a foul on West Ham 'keeper Joe Hart. Southampton substitutions are proudly sponsored by our Official Energy and Utilities Partner, Utility. Aaron Cresswell's cross is met by Diafra Sakho, whose header is brilliantly tipped onto the bar, but Hernández is there to convert another rebound. Dušan Tadić cuts onto his left foot on the corner of the area, and sends in a well-struck shot, but Joe Hart gets down to divert it clear. A loose ball drops to Javier Hernàndez 25 yards out, but he slices his strike a couple of yards wide of the far post. A brilliant long-range effort from Manolo Gabbiadini, but his left-footed strike from distance hits the top of the bar and goes over. The visitors want a spot kick, claiming André Ayew's header hit the arm of Jack Stephens, but referee Lee Mason waves play on. The Saints keeper dives to his left to tip the Mexican's delivery from the wing round the post, after it looked as though it could curl straight in. The right-back has been a threat today, but he fires wide from an angle after being slipped in by a pass from Dušan Tadić. We're off and running again. Come on, Saints! What a half! Saints led through Manolo Gabbiadini, before Marko Arnautović was sent off for the visitors. Dušan Tadić's penalty made it 2-0, but Javier Hernández pulled one back just before the interval. 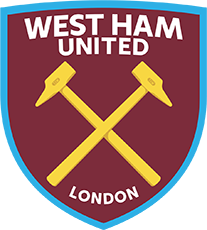 Fraser Forster saves an angled shot from Michail Antonio, but Javier Hernández is on hand to convert the rebound for the ten men of the Hammers. Dušan Tadić doubles our advantage from the penalty spot, rolling the ball down the middle, after Steven Davis was brought down by José Fonte! GET IN! West Ham are down to ten men, as Arnautović is shown red for using a raised arm on Jack Stephens. Manolo Gabbiadini with a sensational strike to fire Saints in front. It's a caution for Tadić, for a foul on Javier Hernández. YESSSSSSSSS! Nathan Redmond with a lovely pass in behind to find Gabbiadini and he strokes a first-time shot across goal, beating Joe Hart and finding the far corner. Former Saints player Michail Antonio slides a beautiful pass through for Marko Arnautović, who gets in behind the defence, but he fires wide of the near post from a brilliant position. A bit of an escape for Saints there. All of the pre-match preparation is complete. Kick off is just around the corner! Mario Lemina and the rest of the Southampton squad head out to warm-up at St Mary's. Saints starting XI: Forster, Cédric, Stephens, Yoshida, Bertrand, Davis (c), Romeu, Lemina, Redmond, Tadić, Gabbiadini. Charlie Austin took control of our official Snapchat ahead of kick-off earlier today! Head over to 'SouthamptonFC' to check it out. Watch as the players head in! Our cameras were on hand as the Saints players arrived at St Mary's for today's game. together – the players and the fans – we have to be as a unit to try to win the game. The Southampton squad is already at St Mary's for this afternoon's fixture, and our photographer was on hand as they arrived. Mauricio Pellegrino had his players working on their finishing in training this week, and there were plenty of great goals and great saves! It's matchday again at St Mary's! Southampton host West Ham in the Premier League, and we'll be bringing you all the action here on Matchday Live throughout the day.